Wind energy will be one of the most important technologies in Ireland during the transition to a truly ‘green’ energy system based on renewable energy. We are incredibly fortunate in Ireland to have access to one the lowest cost renewable electricity resources in the world, onshore wind. It has enabled us to create a completely new industry over the last 25 years. In 2016, wind power provided almost a quarter of all Ireland’s electricity needs across our homes, workplaces, and industries, and during wind periods it provided in excess of 60 per cent of our electricity needs. Developing a clean and cost-effective resource in Ireland has brought many benefits: reputable and independent organisations such as the ESRI and the Sustainable Energy Authority of Ireland (SEAI) have documented how wind power is reducing our carbon dioxide emissions and improved our energy security without increasing the cost of electricity for the Irish consumer. The German research institute Fraunhofer found that Ireland’s wind resource is good enough to produce electricity at a cheaper cost than both coal and gas for electricity production. In addition, wind power has brought other benefits also which are often not reflected on the consumer’s bill. Ireland currently imports 85 per cent of its energy needs costing approximately €5-6 billion per year (€15 million per day), which has a very negative impact on Ireland’s trade balance: to put this in context, this is the same amount of revenue that is generated from tourists in Ireland in 2015. By constructing wind farms in Ireland, we avoid importing energy and instead we direct our spending towards local investments in energy infrastructure. This is very similar to the concept we often use for food: if you ‘buy Irish’, then money stays in the local economy so by building more wind energy in Ireland, we are retaining more money in the Irish economy that we would if we imported fossil fuels. As a result of this change, the wind sector in Ireland is currently employing approximately 4500 people, paying over €20 million per year to county councils in annual rates for common infrastructure such as roads, and IWEA recommend that its members provide ~€60,000 per turbine to the local community where a wind farm is developed. All of this results in more jobs and infrastructure in Ireland, particularly in rural areas. Anecdotes from some of IWEA’s members have informed us about community benefit schemes that have reopened playgrounds, renovated street lights, and provided energy efficiency upgrades to public buildings and private homes. If wind energy didn’t exist, then this money would have been spent on imported fossil fuels and therefore this money would leave Ireland. The pace of growth in the wind sector is remarkable considering the scale of the infrastructure being developed. Since the turn of the millennium, wind energy has grown at an average rate of 25 per cent per year and like many industries in a phase of hypergrowth, a lot has changed in a very short space of time. For example, a wind turbine today is very different to a wind turbine from the year 2000 so the impact of communities has changed, the planning required is different, and the impact of electricity grid is more complex. 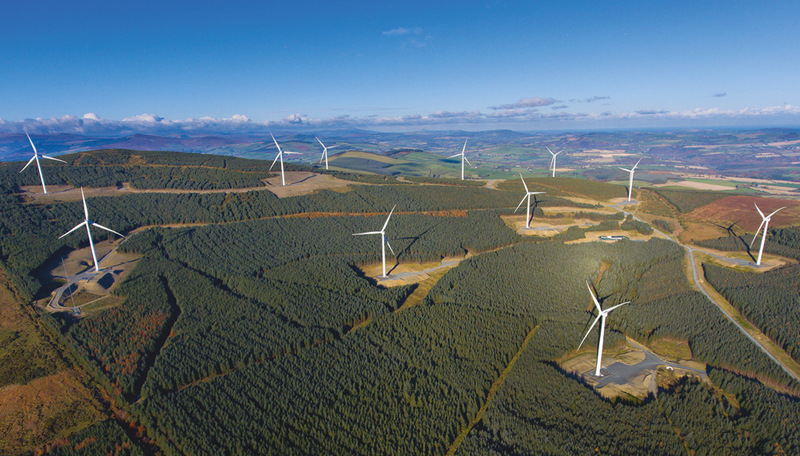 IWEA and its members are actively trying to improve how wind energy is developed in Ireland, particularly in relation to the communities that live near these developments. IWEA supports efforts to bring about a more open and welcoming environment for renewable energy projects. We believe the empowerment of local communities through greater access to independent information is a significant part of achieving greater social support for renewable energy. IWEA believes local government should be resourced and financed to provide this support to communities and developers. While most wind and renewable energy projects in Ireland have been successfully and sustainably delivered through private sector investment, IWEA recognises and welcomes the desire to diversify ownership structures. IWEA produced a document in Spring 2017 entitled An Irish Energy, the first sectoral perspective on approaches to shared ownership of renewable energy projects. It provides a clear industry perspective alongside 10 policy recommendations to enable joint shared ownership approaches which are viable and can succeed. IWEA believes if communities can acquire a stake in projects they are more likely to be disposed to facilitating them. Phase 1: Produce renewable electricity (occurring today). Onshore is the lowest cost form of renewable electricity in Ireland, but other factors may require some renewable electricity from alternatives such as offshore wind, solar, tidal, and wave power. Phase 2: Electrify Ireland’s heat and transport demands. The best place to start is by converting rural heating from oil to heat pumps, and by converting cars from combustion engines to electric vehicles. Phase 3: Utilise storage in heat and transport to balance renewable electricity. Thermal storage is approximately 100 times cheaper than electricity storage, and fuel storage is approximately 10,000 times cheaper than electricity storage, so by electrifying heat and transport, Ireland can balance its renewable electricity in a cost-effective manner using these relatively cheap forms of energy storage. To date, wind energy in Ireland has been viewed as a solution for our electricity sector, but in the future if we implement these phases, then wind power can also provide clean and affordable energy for heat and transport. If we can improve community engagement, resolve bottlenecks in our grid, and improve our planning process, then wind energy can continue its strong growth well into the future. 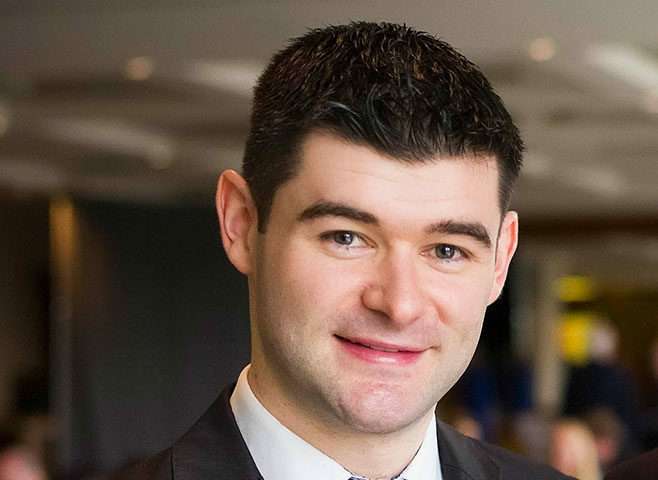 Dr David Connolly is Head of Policy at the Irish Wind Energy Association and former Associate Professor, Aalborg University, Denmark.